non-sticky formula that helps restore hair while you sleep for a healthy looking start each morning. Hair is smooth, shiny, and soft, without leaving residue on your pillow. 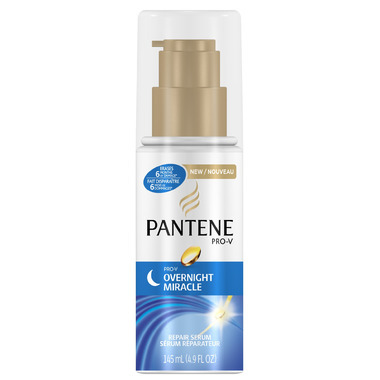 How to Use: Apply to hair at night. Dispense 1-2 pumps into palm, rub hands together and apply at the ends working upwards to mid shaft. Do not rinse. WOW! It is a miracle product!!! It does just as it claims. My hair feels just... so much better, and seems to be more manageble on day 2 or 3. I need to stock up!! Not like it uses alot of product each time, but I would hate to run out! Love it, love it!! I can't say enough about this product - I have fine, coloured hair, and since I started using this overnight conditioner I have seen a dramatic change in manageability and silkiness, and colour longevity. Please don't ever take it off the market.